Metropolis is the City of Tomorrow. Well kept by alien technology and home to some of Earth's greatest heroes, it is also the financial center of the Unites States. The local (and national perhaps) leader in news, the Daily Planet has been around for over 200 years, dating back to the revolutionary period of American history. The Daily Planet is founded in Metropolis in 1775. 1990s - A new crime family, the 100, comes to prominence in the United States. It calls Metropolis home. In the wake of the the 9/11 attacks, a petition is made to move the New York Stock Exchange. Metropolis, with the help of LexCorp, makes the most convincing argument. 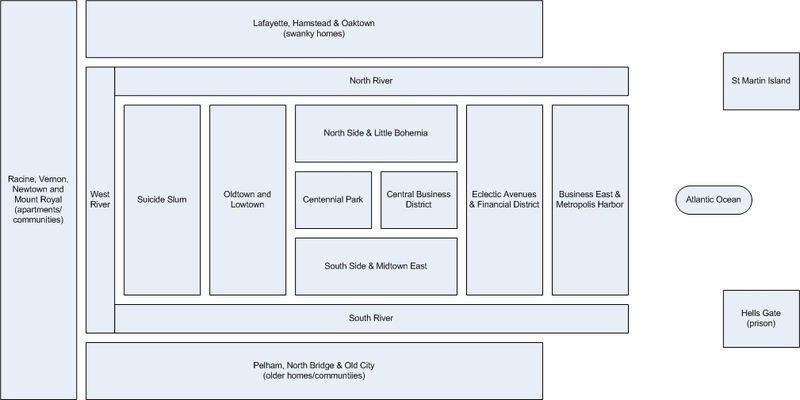 Metropolis becomes the new financial center of the United States. 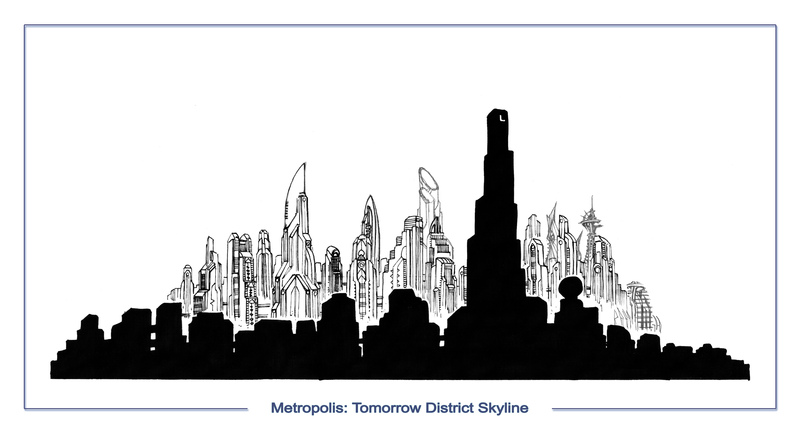 2010 - An alien attack on Metropolis is resolved when the alien technology merges with the city itself, converting it into "the City of Tomorrow". Attempts to exploit the new technology fail as it ceases to work when removed from the Metropolis city limits.